What do you do when you have more than a pound of honey baked deli ham that you need to finish up quickly? Add it to a stir fried noodles, of course. This dish came together like magic (considering I was just winging it) and my family loved the results. 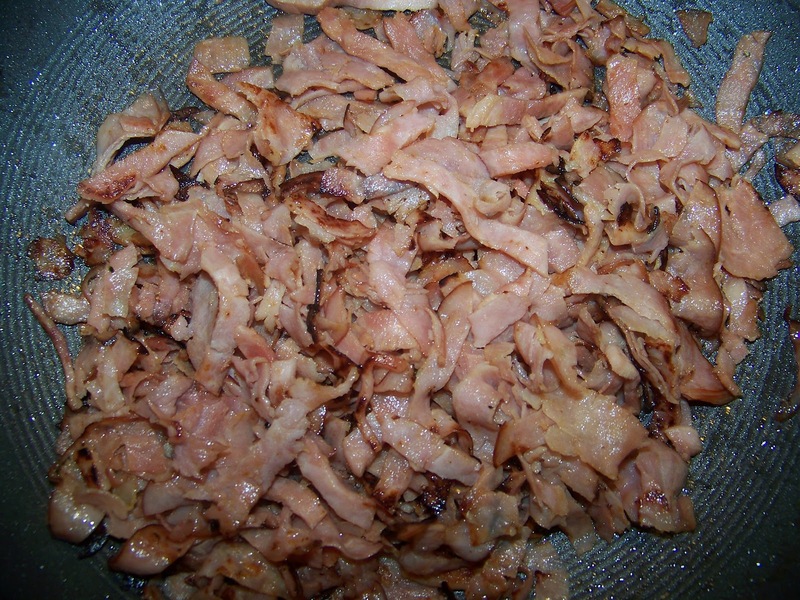 The trick to making the ham extra delicious is to fry it until it almost starts to caramelize and taste a bit like bacon. I added some very finely cut broccoli to it and with whole grain linguine it was a nice rounded out meal. So the next time you have some extra ham around, don't just stick it in between two slices of bread, give it some serious attitude in a frying pan with some noodles. 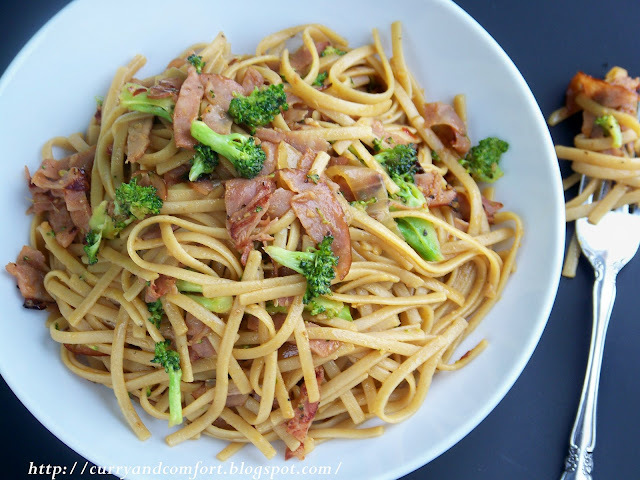 ***Notes: I used whole grain pasta for this dish to bump up the nutrition. 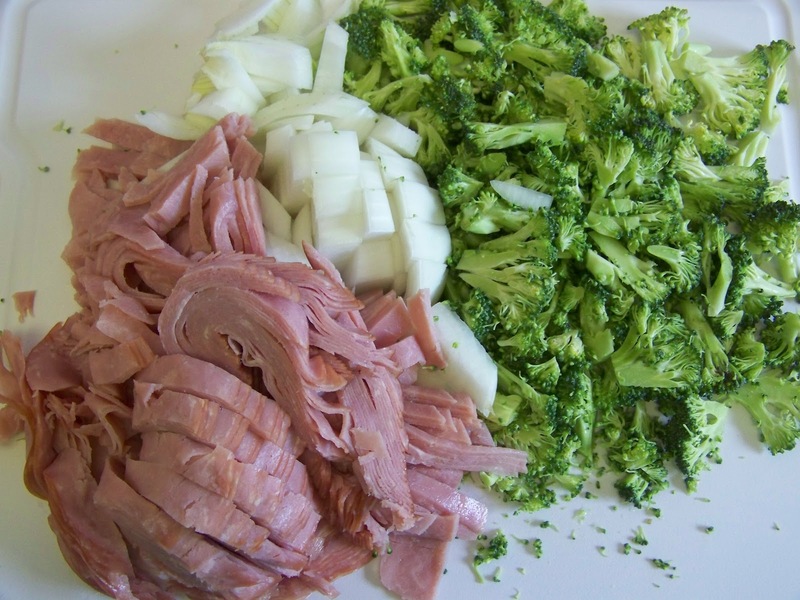 I also recommend honey baked ham for the dish because it's less salty than regular ham. 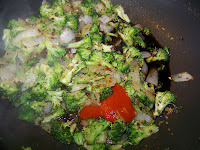 I used a teriyaki style sauce called Yoshida's Cooking Sauce that is available at most Costco Stores. It is very sweet like teriyaki sauce. Boil the pasta according to package instructions. 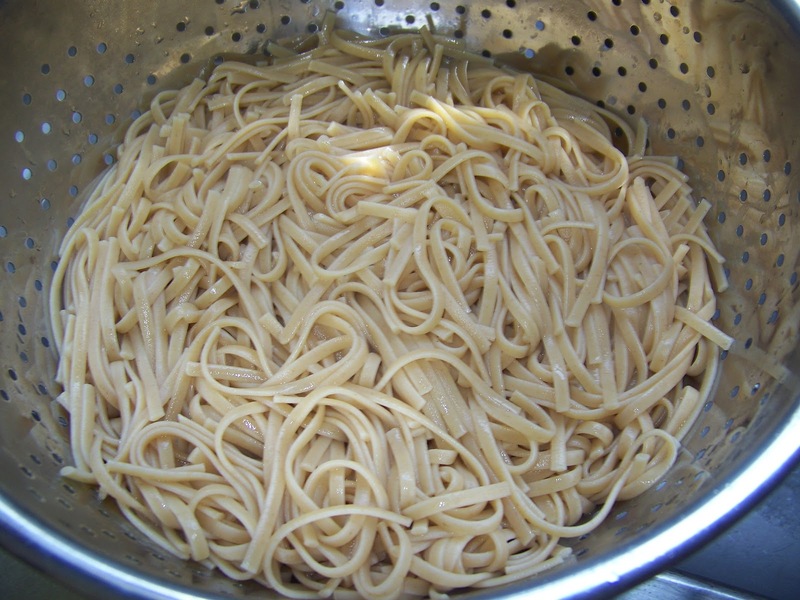 Remember to salt the water so the pasta gets flavored. 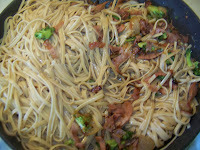 I did not add any salt into the finished pasta dish because the ham added the needed salt. 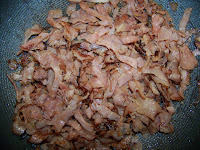 While the pasta is boiling use another skillet to fry up the ham. 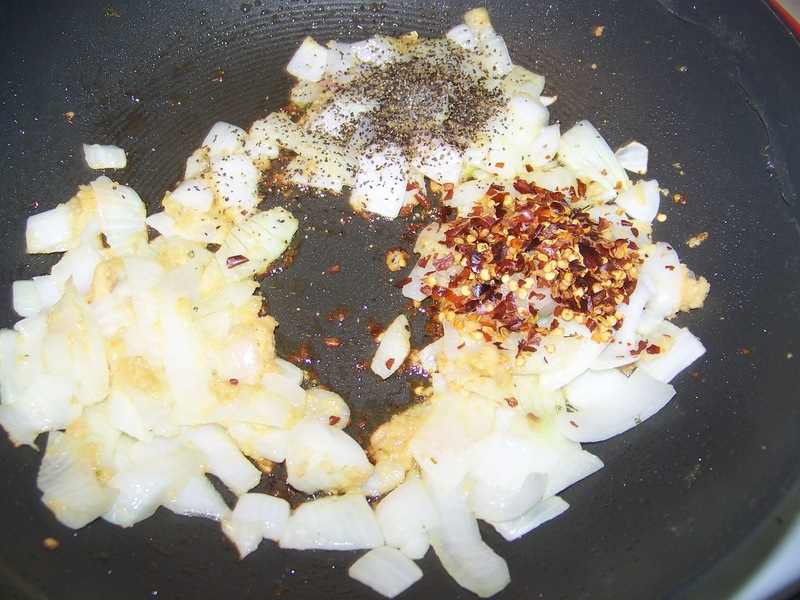 Add one Tbs of canola oil into a pan and get it hot. 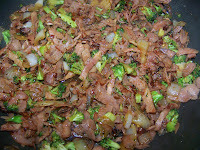 Then add the sliced ham and saute for at least 15 minutes on high until the edges become brown and crispy. Note: The ham may initially render some liquid, just keep frying it and the liquid will cook off. 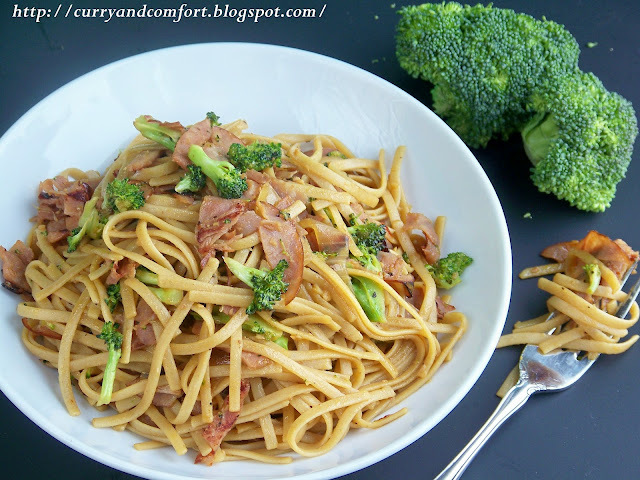 After you drain the pasta into a colander, add 1 Tbs of canola oil into the pasta pan and add the chopped onion and fry for a minute. Then add the garlic and fry for another minute. Next add the black pepper and red chili flake next and fry for 30 seconds. 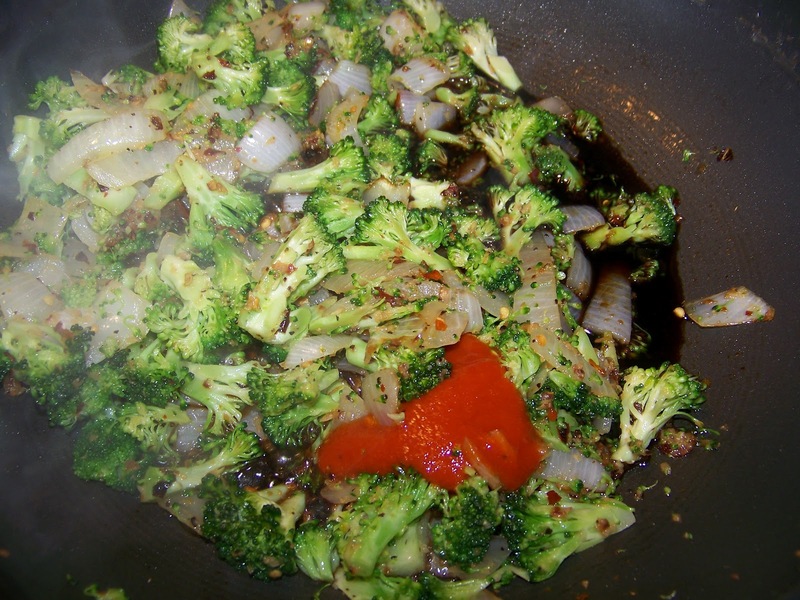 Then add the chopped broccoli into the pan and fry for another minute. Next add the teriyaki sauce, sriracha sauce and the water. Cook for a minute. Then add the ham. Taste for salt. If you require salt at this stage add it or some soy sauce. I did not add any salt. 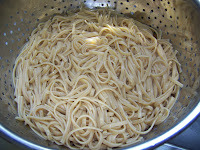 Finally add the pasta to the pan and toss with all the ingredients for a few minutes. Serve hot. Enjoy. That's awesome and tempting..i love the addition of Broccoli. 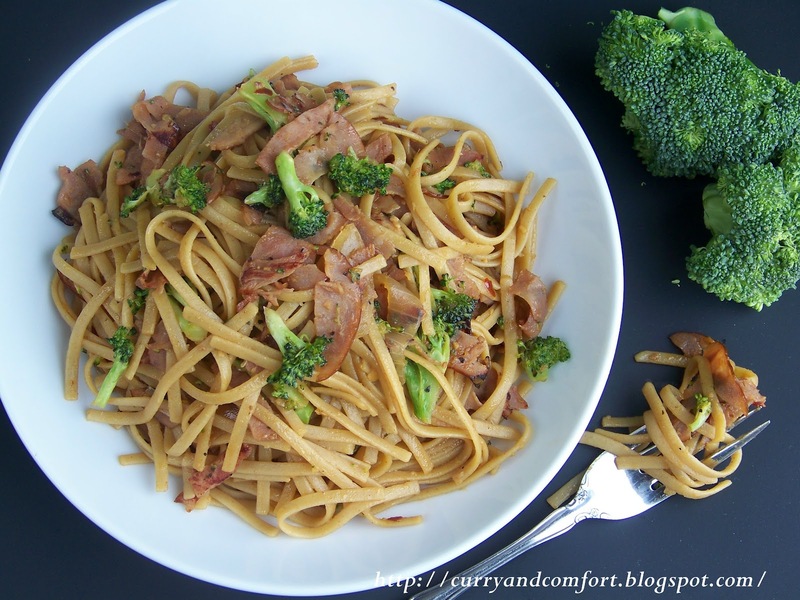 This looks delicious and such an easy meal to through together! Oh my gosh Ramona, this looks so wicked good. I can't eat much pork due to my tummy. But I love it. I used to do a dish like this and miss having it. You got me craving this big time. You have such a talent for making me hungry. I attempted something similar to this the other week, but used chicken instead. Now that I think about it ham would have been a much better options...since it gives a lot more flavor! I'll have to try that next time! 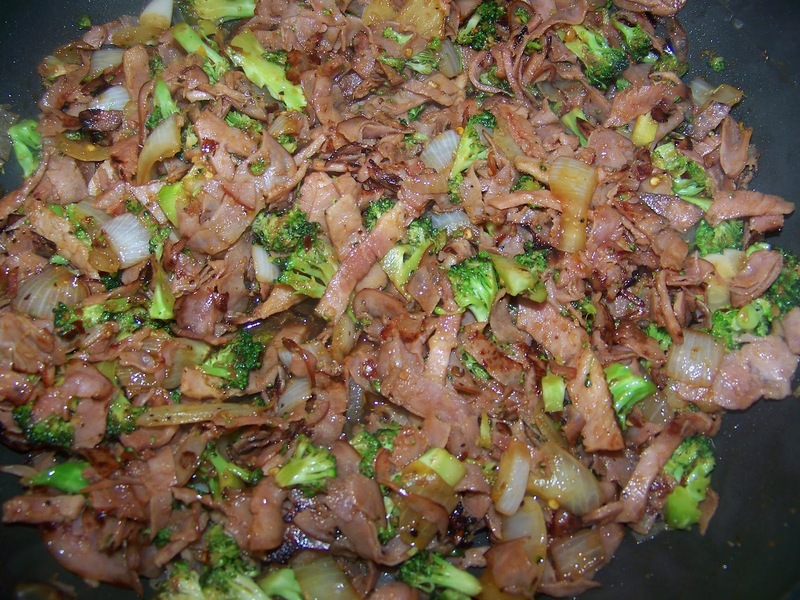 I have to laugh: have cooked stirfried dishes since before the cows came home, but have never thought of using ham - why not indeed :) ! 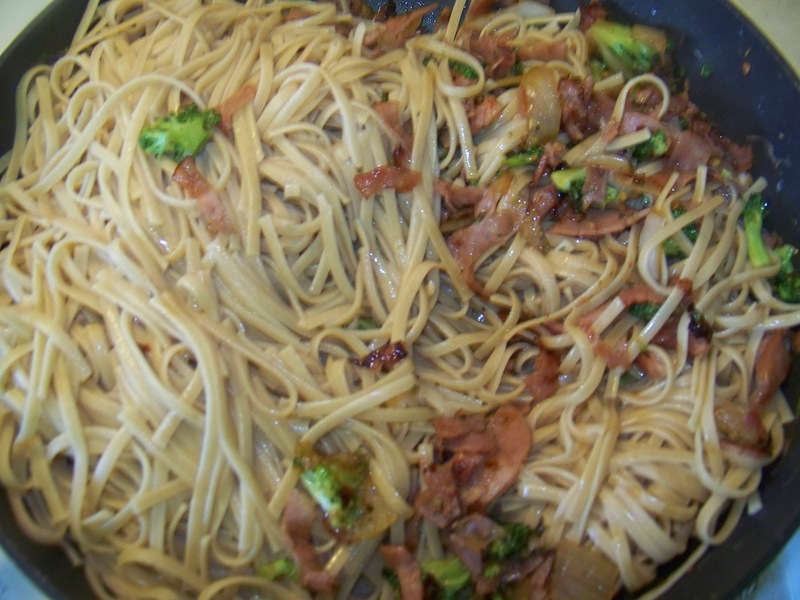 I make similar dish (either noodle or rice) when I want to finish up hams/bacons type of things. They are so thinkly sliced that it's faster than using chicken/pork/beef, and I like it. This will be perfect lunch with my children! Yes,this was very good. I really enjoyed it. Woo-hoo this is on DailyBuzz Food!!! Your photos are mind blowing dear! So crisp and delicious images...hats off da!! !